Have you ever used Periscope? You know that Meerkat clone that Twitter owns. It’s a great live broadcasting tool that anyone with a smartphone can both view and use to do their own broadcasts. 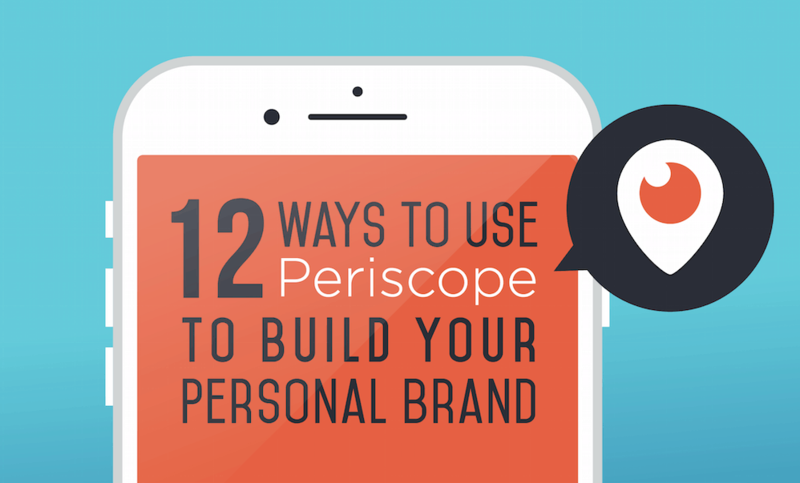 Our friend Chris Drucker has looked at how Periscope can help you build your personal brand. So it’s worth trying it out for personal branding. Keep it candid: Don’t stress about trying to come up with the perfect topic to discuss. Be you and be vulnerable. Entice with your title: Take a few extra moments to think of a title that would entice you to want to join in. And don’t over think it. Acknowledge your viewers: A good Periscope session is all about hanging out with your audience. Ask questions: Draw out conversations from viewers by asking questions. Don’t be afraid to ‘go off’ on tangents: Don’t be afraid to keep it real, go off on tangents and enjoy where the conversation takes you. Ask for some ‘love’ and ‘shares’: Ask for people to share your scopes. They WILL do it and it WILL help grow your Periscope following! Follow those that show you some ‘love’: Offer a follow back for those people that show you the most ‘love’ during a broadcast. Build a following by broadcasting often: No doubt the most successful broadcasters on Periscope will be those that broadcast often. Play ‘show and tell’: Introduce viewers to people near you, along with showing them any interesting items that happen to be there. Act like you’re hanging out with a friend: Periscope is all about living in the moment and communicating that to your audience. Explore with ‘me’: Next time you explore something new like trying new food, seeing new places, meeting new people… Or even using new gadgets – take the world with you. Learn from your replays: Great athletes watch themselves on tape in order to get better.